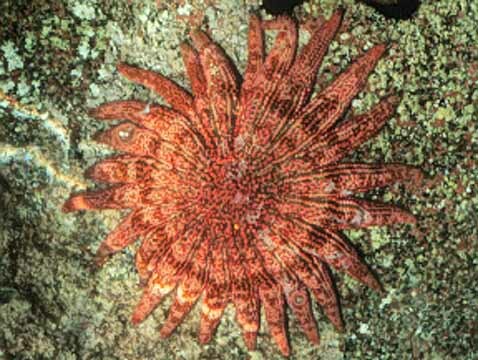 The Echinoblog: Sun Star Stories! The 3 Million Year old Tale of fossil Heliaster from Florida! Sun Star Stories! 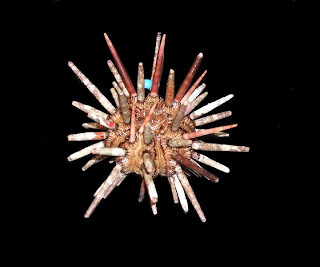 The 3 Million Year old Tale of fossil Heliaster from Florida! Today! A little lesson in Geology and how ONE species of starfish can tell you something cool about 3 million years of evolution! Details are from this paper by Douglas Jones and Roger Portell at the Florida Museum of Natural History. The subject of our story, is a multi-armed starfish, Heliaster microbrachius whose living members are found in the East Pacific (South & Central America). 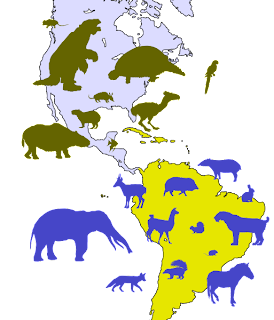 In fact, Heliaster is part of a species complex (a cluster of closely related species present in a discrete geographic range) throughout this region and different variable body forms can be encountered on the Pacific side from Mexico to Central America to Chile. Effectively, Heliaster is ONLY found in this part of the world. That is, until they found a fossil one in Florida! 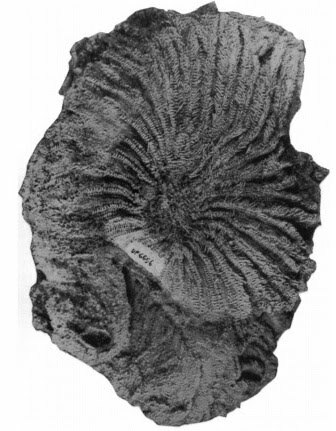 The fossil below was found in fossil deposits from the Pliocene (about 2.2-2.5 Mya) of Florida! Most fossil starfish break apart and wash away after they've died..but these have pretty heavily armored bodies and were likely buried quickly and so, preserved well as fossils. ...with the surface of the fossil! The details are amazingly well preserved! Its not often you can identify a fossil starfish to species with confidence. 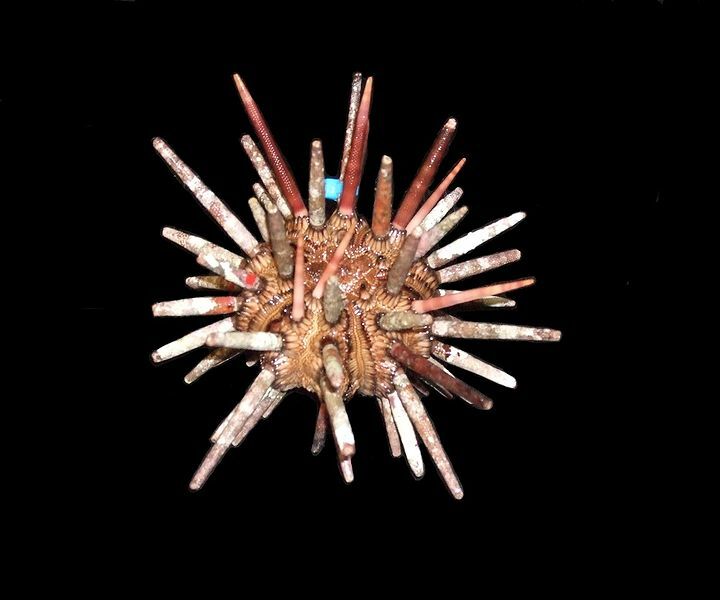 The specimens (apparently over 360 were collected) were exceptionally well preserved, so well preserved they were able to positively identify it as Heliaster microbrachius, a species that continues to be around even today. 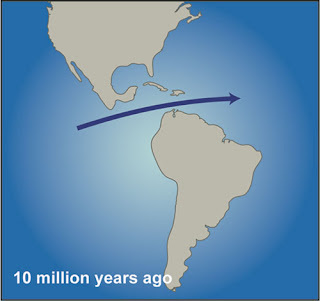 That would mean that this species at one time, woudl have lived from Florida ALL the way to Mexico/Central America and along the "Pacific" coast!! WHAT? But how does THAT make sense? For something from the PACIFIC to be found SO FAR away from where the living ones are found?? How did that happen? 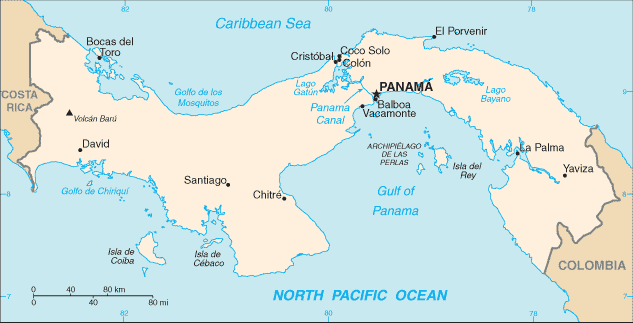 North and South America are connected by a narrow strip of land called the Isthmus of Panama. 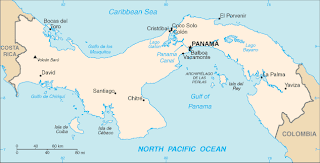 But the Panamanian isthmus was NOT ALWAYS THERE. and that's important to know. Its formation is considered by some to be one of the most important geological events of the last 60 million years, in part because its formation, triggered glaciation in the Arctic-among other reasons which I'll outline below. Here is a series of great geological maps with arrows showing currents from the Woods Hole Oceanographic Institution website, which shows the geological and current history of this area. So, about 10 Million Years Ago (well AFTER the time of dinosaurs, and well into the time of mammals-Click here to see examples of Miocene mammals) there was NO "Isthmus of Panama". 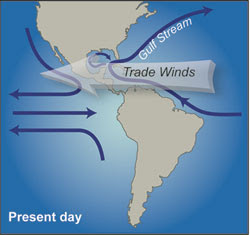 It was essentially an OPEN channel, called the Central American Seaway through which an ocean current traveled connecting the "Atlantic" with the Pacific Ocean. Bear in mind, that also means that there was LIFE here. And it was connected ACROSS the Central American Seaway. Over time, tectonics triggered uplift and formation of the isthmus-effectively BLOCKING currents from flowing through the seaway that had been there before. But a bridge for the land-critters is a BARRIER for marine organisms. Based on the fossil deposits (2.2-2.5 million years) and the age of the land bridge, the authors bracket the age of the Heliaster fossil at about 2.5-3.5 Million years ago.. suggesting that it might have been present well AFTER the land bridge sealed off the populations between the Pacific and Atlantic. 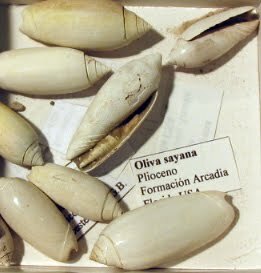 There is a fairly sizeable fauna of mollusks and other invertebrates that are also found as part of the fossil deposit where this species was found. These all point towards continuity BETWEEN the populations in the "East Pacific" (Mexico, Central America, etc.) and Florida about 2-3 million years ago. 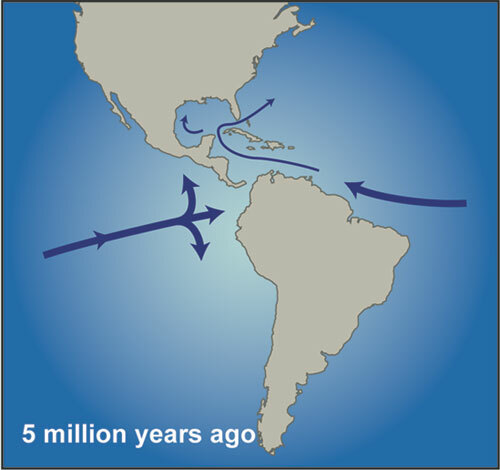 The isolation between Pacific and Atlantic would have led to NUMEROUS changes in salinity, water temperature among any number of other factors that might have resulted in the dieoffs of these faunas. The currents changed and not only does the environment change but the water's nutrient flow and so on. 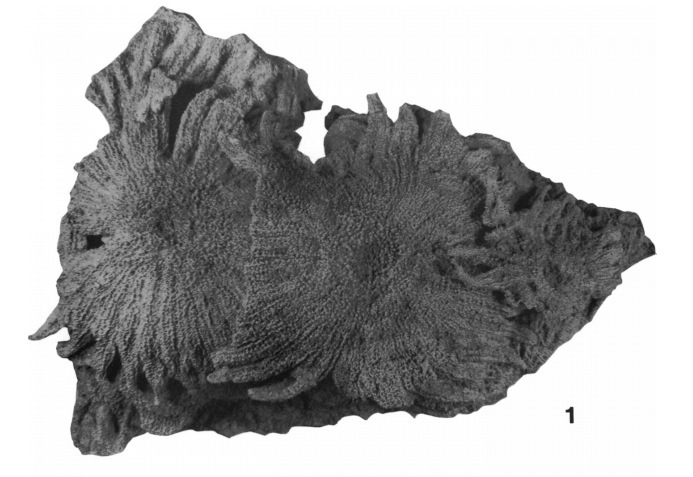 So, the land bridge formation was a kind of "starfish natural disaster" of sorts- as it cut off this small population of this species from the rest..and the subsequent changes in the marine environment likely led to their localized extinction. A really interesting piece Chris (and Doug and Roger). Everyone should study multiradiate asteroids!